I need to flatten my bicycle tire. What is the safest and best way to do this? What I mean by safest is: I want to reinflate it again afterward. It's quite common to deflate a tube for some valid reason, like you want to change a worn out tyre or replace a spoke. 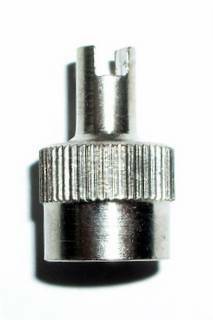 If your valve is a Schrader (a car style) then you remove the cap by twisting, then use a pokey object to depress the center pin in the valve to release the air slowly. 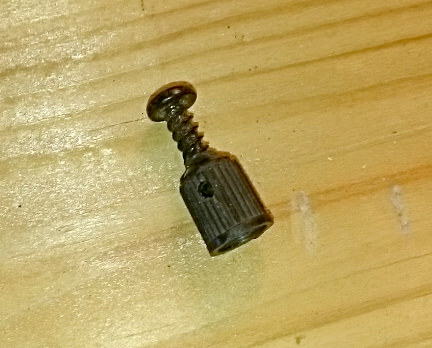 A nail, or the end of a house key, or a Phillips-head screwdriver are all effective pokey things. If you want to completely deflate the tyre fast, you can use metal cap with special screwdriver to remove the valve from its case. If the valve is not tight, you can tighten it or replace it using this tool. If your valve is a Presta (a French valve, more common on high pressure road bikes) then it's easier. 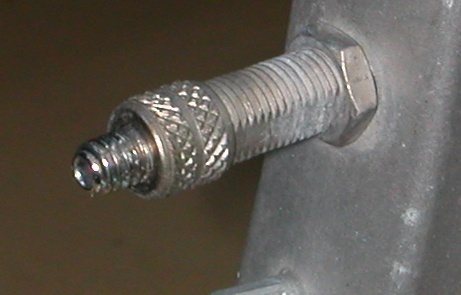 Remove the cap by twisting, then back off the knurled nut, by twisting two or three turns. No need to remove it completely. Finally press the end of the pin with your bare finger. If you have a Woods or Dunlop valve, then the valve core needs to be loosened, by twisting. (Seems like there's a common twisting element here!) The knurled nut holds the whole valve stem down, so back this one off til air comes out. If you undo it completely, the valve core can fly out and be lost. These are common on Japanese and German bikes, or old English bikes. 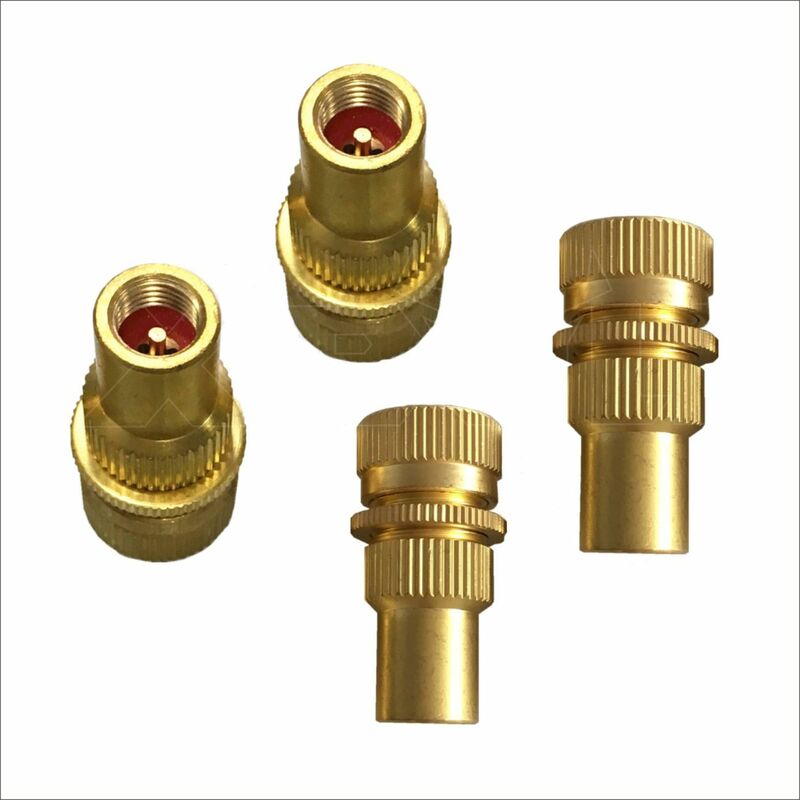 Regardless of the valve, escaping air makes a loud hissing noise. Don't be startled. The air coming out also smells rubbery and is prety cold - this is fine. If you have airless tyres (foam filled ones), you cannot let the air out - they have to be cut off the rim generally. These don't have a valve stem at all and are quite unusual. 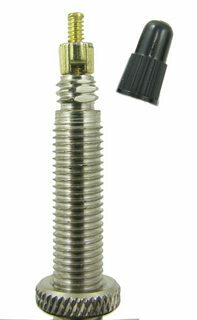 I've made a deflating tool for Schrader valves (car style). 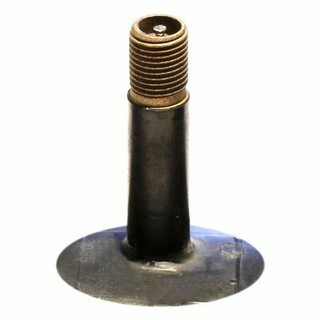 It's a plastic valve cap with two holes drilled across it to let the air out and a blunt-ended screw threaded in from the top. Simply screw it onto the valve and it lets all the air out. It works well with an adaptor for Presta. This is really useful when you want to get all the air out, e.g. when rolling up a patched tube for storage. This is a workshop tool; at the roadside (if on a bike with Schrader valves) I typically use the end of a plastic tyre lever. That's one reason for carrying that particular set of tyre levers (they hook onto the spokes and it's the hook that presses the valve). For Presta valves finger pressure does the trick. In my youth I did 4WDing, and it was a common accessory to have a set of four valve caps for schrader. They were pre-set to a specific pressure, so you could drive on road at road pressures of maybe 35 PSI, arrive at the meeting place and "air down" using these to drop your tire pressure to 25 PSI or 17 PSI or whatever your preset was. They were a lot quicker than holding the pin and checking every 20 seconds. 4WD car tires hold a heap more air and can take minutes to come down to an off-road pressure. The top part is adjusted to pressure and locked using the lock ring. You wouldn't ride or drive with these in place. How is “correct” tire pressure related to tire volume? Can you inflate a completely flat tire?